Each year thousands of clinical trials occur. Learning about clinical trials can feel like you are learning a new language. The good news is that there are lots of resources to help support and guide decision-making before enrolling in a clinical trial. Check out 10 things to know about clinical trials and participating in trials. Clinical trials allow researchers to understand the impact of a treatment. When it comes to treatments or drugs, clinical trials provide critical information about the drug’s safety and effectiveness. In addition, they can lead researchers down of path to develop other new treatments. Ultimately, clinical trials make a difference not just for today’s patients, but also potentially to those who’ll be diagnosed in the future. All places that conduct clinical trials have strict ethical duties to participants and regulations they must adhere to. In order to ensure that the ethical and regulatory guidelines are followed there is a team of people who are independent of the research team who are asked to review t and oversee the clinical trial. This team of people is known as an Institutional Review Board (IRB), sometimes known as Independent Ethics Committee or Ethics Review Boards. The IRB must review the research protocol before any participants can enroll in a study. Each clinical trial has different risks and benefits that are explained in the study protocol. Since each participant is different it can mean that each person may experience the risks and benefits differently. For example, it could be possible that one participant may experience a side effect that another participant does not experience. The exact risks and benefits can be difficult to predict since a component of some clinical trials is exploring the impact of a treatment. During the Informed Consent Process, a member of the research team will review the risks and benefits of the clinical trial. There can be lots of different people involved in clinical trials, but there are key players to know about. Key players include the Principal Investigator (PI), who is the lead researcher leading the clinical trial. There is the trial sponsor, who is paying for research to take place. The research staff, which can include doctors, nurses, social workers or clinical research staff who will work directly with patients. Lastly, patients and their caregivers, without these key players medical advances wouldn’t be possible! If you enroll in a clinical trial and then find that you are no longer able to participate, you are allowed to drop out of the trial at any stage. Trial participants do not have to provide any reason for leaving if they do not want to. If a participant decides that they no longer wish to partake in the clinical trial it is the research team’s responsibility to remove the person from the trial in a way that is safe for the participant. One of the primary responsibilities of the research team is the care and safety of participants who have volunteered for the trial. Researchers may go by unfamiliar titles, like Principal Investigator or Study Coordinator, but they are, also, doctors, nurses, and trained research professionals. As such, they monitor participant safety and well-being. They will adjust study-related care when they feel it’s in the participant’s best interest. This may mean withdrawing a participant from a clinical trial to prevent harm. The factors that allow an individual to participate in a clinical trial are called the inclusion criteria. The factors that disqualify an individual from participating in a clinical trial are called exclusion criteria. Inclusion and exclusion criteria are typically based on factors such as age, gender, health status, previous treatment history, and other medical conditions. There is a lot of thought and time put into the development of inclusion/exclusion criteria as these factors may have an impact on the findings of the clinical trials. The inclusion and exclusion criteria are applied to all possible study participants equally before they enroll in the study. Clinical trials could take place at a hospital, a university, a community clinic, or a doctor’s office. In addition to a variety of sites, there are a variety of researchers. Some medical professionals devote their career to conducting clinical trial research, while other research professionals conduct research for some of the time and the remaining time they are providing patient care in a healthcare setting. When you peek inside your medicine cabinet do you ever wonder the journey that a medication underwent in order to allow it to prescribed by a doctor and land itself in your cabinet? It’s a long journey and thorough one. Every potential treatment undergoes multiple phases of research, each with a different goal. In clinical trials that are studying an interventional drug, treatment, or therapy there is pre-clinical research that occurs in laboratories, usually with cells or animals. If the pre-clinical studies show promising results, the treatment team must get permission from the US Food and Drug Administration (FDA) to test in humans. The research team submits an Investigational New Drug (IND) application to the FDA and must be approved before any next steps. There are numerous reasons to participate in a clinical trial. Some might decide to participate to gain access to new or alternative treatments. Others may join to have access to personalized and expert medical attention. Some may participate as it can provide access to medications and procedures at no cost to the participant. Some people are motivated to participate to contribute to advancing medicine. Choosing to participate in a clinical trial is an individual decision and each person may have their own personal reasons for deciding to take part in a clinical trial. Such a great read. I had no idea there was so much that went into clinical trials. 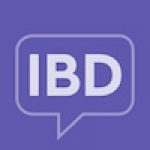 At one point in my IBD journey, I thought about doing one but never pulled the trigger. Thank you for breaking all this information down. Something's not right... Try again or let us know at [email protected]atoryBowelDisease.net.